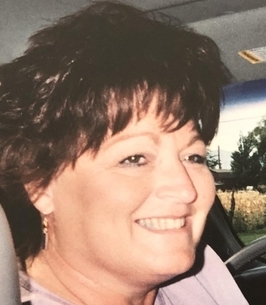 Randy Lynn Pierce Robinson passed away peacefully at home November 8th, 2018 after a courageous Battle with brain cancer. Randy was born on June 28th, 1949 in Spanish Fork, Utah to Verl Larry Pierce and Nada Laverne Young Pierce. She married the love of her life Alan Wayne Robinson on February 2nd, 1968 (Groundhog Day). Her days were Sunny from then on out. They were later sealed in the Manti Temple on her birthday June 28th, 2001. Randy's greatest love was her family. She was a devoted wife, mother, grandmother, great-grandmother, aunt and friend to all. She made many lifelong friends during the 20 years she worked at Jim's Texaco in Spanish Fork. She loved camping and 4-wheeling but her greatest joy was supporting her grandchildren in everything they were a part of. She truly was their greatest fan. Randy is survived by her husband Alan and their three children Larry (RaNae) Robinson, Karolyn Robinson-Lyones (Joey), John Michael (Jessica) Robinson. 13 grandchildren and 6 great-grandchildren. She is also survived by her siblings Sandra Pierce, Sheila Ellertson, Kim (Janet) Pierce, Shauna Pierce, Cindy Wilkins and many nieces and nephews. She was preceded in death by her parents; brother Mike Pierce; nieces Mechele Alvey & Kathy Conger; nephew Brady Conger. We want to send a special thank you to all the people who helped take care of our special mother. Maple Creek Hospice and Intermountain Cancer Institute, you will always hold a special place in our hearts. A viewing will be held in her honor November 14th, 2018 at the Payson 20th Ward LDS Relief Society Room (608 West 1400 South Payson, UT 84651) from 6 to 8 p.m. Funeral services will be November 15th, 2018 @ 11am at the same church. A viewing will be held prior to services from 9:30 to 10:45 a.m. Interment will be at Springville Evergreen Cemetery. 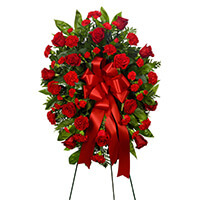 To send flowers to the family of Randy Lynn Robinson, please visit our Heartfelt Sympathies Store. I didn't know you but thank you for being there for my cousin when others were not. May God be blessing you now. We are so sorry for your loss. She was such a devoted Mother and Grandmother. She was definitely one of the boys biggest fans. She will be missed by all especial at the diamond. Our heartfelt sympathy to Alan and his Family. Randy will be missed by all of us who knew and loved her.